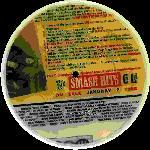 A 7" flexi a-ha interview disc was given away with the magazine "Smash Hits" on 2nd January 1986. 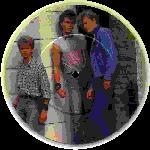 The front of the disc features a picture of the band (Pål, Morten and Mags) standing in the doorway. This 7" square flexi disc includes a short introduction by a-ha followed by the "U.S. Dance Mix" of "The Sun Always Shines On T.V." (4:33). The disc which offers a yellow and orange sun-image plus individual pictures of the band members features black and pink titles. The disc came free with the 29th March '86 issue of the English music magazine "No. 1". This limited edition 12" picture disc was released in England. On side 1 of the disc is an early colour picture of the guys facing the camera (Mags, Morten, Pål) against a green background. 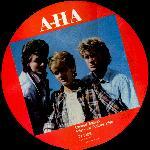 A white italic "a-ha" logo is printed at the top of the picture. Printed in white at the bottom of the disc is "INTERVIEW PICTURE DISK - LIMITED EDITION BAK 2031 - SIDE 1 - MADE IN ENGLAND". 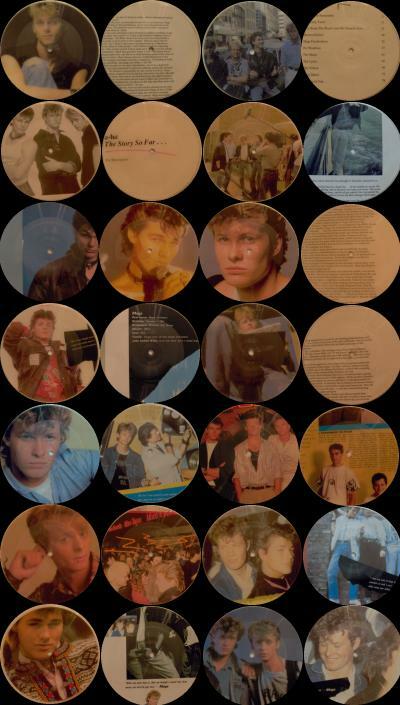 The reverse of the disc has a picture of Morten against a yellow background. Morten is wearing a tranditional Norwegian sweater. 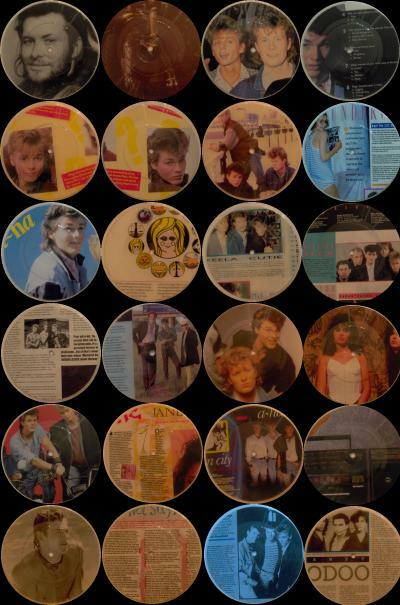 The white a-ha logo is printed to left of Morten and the text "INTERVIEW PICTURE DISK - LIMITED EDITION BAK 2031 - SIDE 2 - MADE IN ENGLAND" is printed at the bottom. On the disc is an interview with the band recorded in 1985 which continues on the second side. This red Japanese interview 7" flexi disc with white text was given as a free bonus with the purchase of the Japanese magazine "Viva Rock Deluxe". The words spoken by (in order of appearance) Morten, Magne and Pål are printed in the magazine including the many pauses and "uh's" uttered by both the interviewer and the bandmembers! Side A features, as mentioned an interview with Morten, Magne and Pål from 1986, while side B contains interviews with Charlie Sexton plus Duran members John Taylor and Nick Rhodes. It plays at 33 RPM! The sleeve accompanying the flexi is white with a pink circle (the size of a regular label) which contains information on the contents in white lettering. Note: Please refer to bottom scan for true red colour. This limited edition picture disc was released in England in 1988 but it contains an interview with the band recorded in 1985 (different to the one on the Bak-Ta-Bak disc). 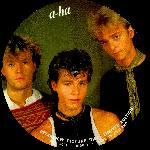 The A-side has a colour picture of the band (Pål, Mags, Morten) and "A-HA" printed in white. 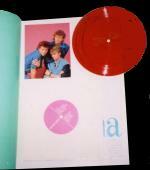 The B-side has a differnt band shot (Morten, På, Mags) which is printed on a red background. 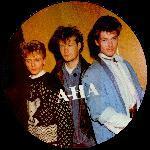 A white "A-HA" logo is printed above the band shot. 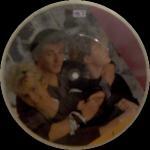 The text "Limited Edition Interview Picture Disc TT1002 � 1988 made in England" is printed in white at the bottom. The disc comes inside a white cardboard sleeve which has a circular cut out so that the disc can be seen. The front of the card sleeve has "Tell Tales Limited Edition Interview Picture Disc" and a microphone printed in gold and the reverse is white with the same text plus "Made in England" printed in gold in the centre and address of the promoters. There are series of Amnesty International 7" picture discs which are thought to be unofficial. Several of them include pictures of a-ha, mainly taken from books or magazine articles and often with parts of the picture missing (such as a band member's head!) or just part of the text from an article or book. Therefore these discs seem to be very unofficial. They do not have catalogue numbers. 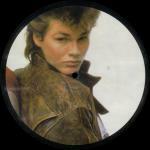 Another of the Amnesty discs has Morten's picture on one side and is plain white with a black rim on the other. When the disc is played, you hear an interview with Sting about Amnesty International! This Spanish interview disc "A-HA RUEDA DE PRENSA 24/4/02 LIFELINES WARNER MUSIC" comes in a Eurosonic Mastering white card sleeve. There is a white sticker on the front with the title in red, black and blue letters. The bottom of the generic sleeve has an address in Spain. The CD is a regular TDK CD-R80 with a similar sticker stuck at the bottom. It features 20 tracks of a 25m 8s long interview. The interview questions are in Spanish and you hear a-ha answering in English. This 2002 WEA records promo CD from Germany features answers by the a-ha members to 40 questions. Tracks 1 - 10 have answers by Morten; tracks 11-30 by Paul and 31-40 by Magne. The interviews last for around 58 minutes. The CD comes in a jewel case with white paper insert. The insert has track information in black plus 2002 WEA Records Germany copyright information and "For promotion only!". The disc is silver with black text and has "Manufactured by Multi Audio Hamburg / Tel +4940 4019440 information around the Middle Ring of the CD. The catalogue number 28026 is also printed around the centre of the disc. This rare 2003 German exclusive promo only acetate intervew disc comes in a slim line case with insert. The insert is white with a-ha, Interview-CD, 17 O-Töne and Safetycopy - for promotional use only - printed in black letters. The wea records logo is printed in the top right hand corner. 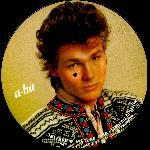 The disc is plain with a-ha Interview-CD 17 O-Töne and the wea records logo printed in black. The disc contains 17 tracks of interview answers by all three band members. The total playing time is 10:13 mins. The disc was made for German Radio stations to coincide with the release of "How Can I Sleep With Your Voice In My Head".